Roger Brooks Warren of Otsego, Michigan, rotated to the heavens on August 31, 2008, doing what he loved most – flying helicopters. Roger was born September 7, 1964, to Zach and Jeanette (Walker) Warren. A multiple All State and All Conference track athlete and track team captain at Otsego High School, Roger held at one time six track and field records. In 2005 Roger was inducted into the Otsego High School Athletic Hall of Fame. At the age of ten, Roger had his first ride in a helicopter, and vowed then and there to learn to fly. Upon graduation from high school, he enrolled in flight school, eventually earning his private pilot’s license. Shortly thereafter, Roger enlisted in the United State Army and became a crew chief and mechanic on helicopter gun ships. Roger’s far flung and varied flying experiences in both fixed wing and rotary included flying freight, drug interdiction, forest fire patrol and suppression in Texas, as well as tuna scouting in Panama. Roger especially loved flying geologists and tourists in the remote areas of Alaska. He also worked for one year with the Detroit Police Department’s Aviation Unit, heavy lift helicopters in Ypsilanti, and in the off shore oil industry in the Gulf of Mexico. In 1998 Roger and his new wife, Ann, started their own helicopter company. Air North Helicopters, based in Jackson, MI, specialized in crop pollination, aerial photography, power line patrol and tourist rides. At the conclusion of that company, he started piloting medical helicopters. Roger is survived by his parents, Zach and Jeanette of Otsego; brother Craig and his wife Leslie of Plainwell; former wife Ann Mehringer and her children, Alissa and Ian Gray, of Milan; a very special friend and co-worker, Tessa Orens, and her children Josie and Nate, of Bloomington, IN; and his beloved golden retriever, Whiskey. A memorial service will be held on Saturday, September 13, 2008, at 1:00 pm, at the United Methodist Church, Otsego. In lieu of flowers, memorial contributions may be made to Christian Neighbors, Otsego. May your winds be favorable, and VFR forever. 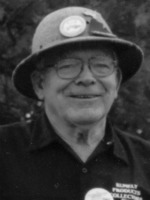 Mr. Marion ‘ Peach’ Marciniak of Alamo Township passed away Sunday, August 31, 2008 at Kairos Dwelling in Kalamazoo. Mr. Marciniak was born April 15, 1926 in Grand Rapids, the son of Peter and Mary (Alicke) Marciniak. Peach was an Army veteran of World War II. He served as a sharpshooter under General George Patton in the European Theater at the Battle of the Bulge, where he was wounded and disabled. He received the Bronze Star and Purple Heart. Peach was a member of the V.F.W. of Plainwell. He worked for Marciniak brothers Construction Company and later drove a semi to deliver onions for Riley farms in Neeley. His hobbies included hunting, fishing, canning, woodworking, motorcycle and snowmobile riding, doing stained glass and CB radio. On July 1, 1966 at a garden wedding in Plainwell, he married Mary (Pirrone) Bushee, who survives. Also surviving are 4 daughters, Kathi Brazee of Gillette, WY, Kathy Zierer of Louisville, KY, Kris White of Alamo Twp, Kalamazoo and Lori Syers of Las Vegas, NV; 8 grandchildren; 11 great grandchildren; 1 sister, Barbara Darrow of Plainwell; many nieces and nephews. He was preceded in death by 10 siblings and best friends, Al Mullins and Bob Gailey. Friends may meet with his family on Tuesday from 2-4 & 6-8 P.M. at the Winkel Funeral Home, Otsego, where a Scripture Service will be held at 7:30 P.M. Mass of Christian Burial will be held Wednesday at 11:00 A.M. at St. Margaret’s Catholic Church, Otsego, MI, Rev. Father Donald P. Klingler, Celebrant. Military Honors at St. Margaret’s Cemetery will be conducted by V. F. W. Post #3030. Memorial contributions can be made to Kairos Dwelling or Borgess Visiting Nurse and Hospice. Kenneth Lee (LeRoy) Russell of Kalamazoo, MI (formerly of Otsego) went home to be with the Lord, surrounded by family at Kairos Dwelling, on August 26, 2008. Ken was born in Schoolcraft, MI, on May 6, 1922. He was the only child of Leo F. and Viola (Russell) Russell, who preceded him in death. For four years he served in the Army Air Corps as a Corporal during World War II. Ken leaves his wife of 60 years, the former Vera Marie Chadderdon. They were united in the sacrament of marriage on December 26, 1947. They have four surviving children: Donald L. (Patricia) Russell of Otsego, MI; Shirley A. (Duane) Kaleward of Charlotte, MI; Bruce T. (Deborra) Russell of Otsego, MI; and Richard R. (Suzie) Russell of Brohman, MI; 17 grandchildren; 22 great-grandchildren; deeply treasured brother and sister in-laws; many wonderful nieces, nephews and friends. Ken was an active member of St. Margaret Catholic Church & School, in Otsego, where he worked as custodian until his retirement in 1984. He also served as the cemetery sexton until (around) 2002. He was an active 3rd degree charter member of the Knights of Columbus #7796 where he served the church and community on many projects including, but not limited to, Christmas basket delivering, building the church rectory, renovations of the former school convent, weekly bingo games, driving those in need to doctor appointments, serving as an usher at church, helping at funeral lunches and working with Christian Neighbors. Ken enjoyed his grandchildren and great-grandchildren, traveling with family and friends, playing games, and winters in Haines City, Florida. Ken’s family will receive friends from 2 to 4 and 6 to 8 P.M. Thursday at the Winkel Funeral Home, Otsego, where a Scripture Service will be held at 7:30 P.M. Thursday. Mass of Christian Burial will be celebrated at 10:30 A.M. Friday at St. Margaret Catholic Church, Otsego, Rev. Fr. Donald P. Klingler celebrant. Memorial contributions in Ken’s memory may be directed to Kairos Dwelling, Borgess Foundation (VNA & Hospice) or St. Margaret School Endowment Fund. 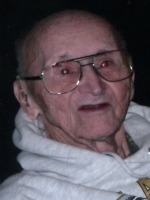 Elwin D. ‘Al’ Bronson of Otsego passed away Friday morning, August 22, 2008 at his home with his family by his side. His last days were filled with family and friends, jokes, laughter and love. Al was born June 21, 1926 in Otsego, the son of Paul and Ruth (Null) Bronson. He was a Veteran of WWII, serving in the Navy. Beginning in his teenage years he was an auto mechanic and retired as a Master Mechanic from Koestner’s of Plainwell in 1992. Al was a collector and restorer of antique tractors including the ‘Oil Pull’ brand. His memberships include the American Legion, the Kalamazoo Valley Antique Engine and the Michigan Steam Engine and Thrasher Clubs. Al had been a part of tractor shows for over 53 years. On June 29, 1946 in Otsego, he married Virginia Campbell, who survives. Also surviving are 2 sons and 1 daughter, Michael (Judy) Bronson, Mary (Randy) Lober, Mark (Sherri) Bronson all of Otsego; 3 grandchildren, Paul Bronson, Joe and Kecia Bronson, Chris and Sarah (Bronson) Lake; 4 great grandchildren; several nieces and nephews. He was preceded in death by his parents, 3 brothers, Paul Jr., James and Philip. Cremation has taken place and a Celebration of Life party at his home will be held from 1-5 P.M. Sunday October 5, 2008. In lieu of flowers, memorial contributions can be made to Hospice Care of Southwest Michigan. Raylene ‘Bubbles’ Riston of Plainwell passed away Wednesday, August 13, 2008 in Kalamazoo. Raylene was born October 29, 1947 in Plainwell, the daughter of Raymond and Earlene (Braizer) Lober. She was a graduate of Martin High School and earned an Associates Degree from Ferris StateUniversity. In her younger years, Raylene had been very active in 4H. She was a meticulous record keeper and enjoyed sewing, watching Law And Order and soap operas. Most of all, she loved being a mother and grandmother. On September 6, 1969, in Plainwell, she married John Riston, who survives. Also surviving are her son John F. D. (Lisa) Riston of Martin, her daughter, Angela N. (Mark) Kline of Battle Creek; six grandchildren, Katilynn ’Kati Bug’, Alexandria ‘Allygator’, Madison ‘Maddi Bear’, Kiara Rose, Izabella ‘Bella’, and Elizabeth ‘Baby’; brother-in-law, Michael (Annette) Riston; sister-in-law, Sally Riston; mother-in-law, June M. Merry; several aunts, uncles, nieces nephews and cousins. Friends may meet with her family from 6-8 P.M. Saturday and 2-4 and 6-8 P.M. Sunday at the Winkel Funeral Home, Otsego, where services will be held Monday at 11:00 A.M., Rev. Dan Minor officiating. Interment will be in Hillside Cemetery, Plainwell. Memorial contributions can be made to the Martin Resource Center. Loena K. Matthews(Jewson, Healey) passed away on August 11, 2008 after a long illness at Florida Hospital in Sebring, FL. She was born to Paul and Beatrice Jewson, January 31, 1925 in Otsego, MI. She graduated from Otsego High School in 1943. Loena was employed by Springfield Public Schools in the business office. After her retirement, she moved to Avon Park, FL. Preceding her in death were her parents, husband Robert D. Healey in 1976, and sister, Linda Witt in 2005. She is survived by her husband Charles L. Matthews, Avon Park, FL; seven stepdaughters and their families, whom she loved very much. Donna and Randy Holland of Whitefish, MT and children Kim, Dawn and Marcie; Linda and Lloyd Kilbourne of Otisville, MI and child Tamara; Sherry and Choya Horton, Sebring, FL and child Tina; Vicki and Don Little, Genesee, MI and children Shannon Dan and Ryan; Debbie Matthews, Flint, MI and child Drew; Nancy and Dave Pollock, Durand, MI and children Heather, Paul and McKenzie; Brenda and David Dinnan of Durand, MI and children Eric and Samantha. These stepdaughters blessed her with 14 great grandchildren. Nieces and nephews include, Mick and Char Jewson, Fennville, MI, Rick and Laurie Witt, Otsego, MI, Chris and Marge Witt, Allegan, MI, Terri and Tim Duane, Grand Junction, MI, Scott and Kim Witt and Billy Witt, Otsego, MI. Funeral services 2:00 pm, Saturday, August 16th at Winkel Funeral Home, Otsego, MI with family receiving friends from 1:00 pm until service time. Burial will follow at Mountain Home Cemetery next to her family that preceded her in death. There will always be a special place in her family’s heart that will remember her love. Never will a butterfly pass without a sweet memory of her. In lieu of flowers, memorial contributions can be made to the American Heart Association. 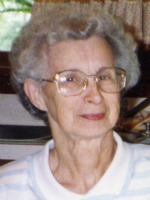 Julia A. Schiebergen of AlamoTownship passed away Monday, August 11, 2008 in Alamo. Julia was born October 23, 1917 in Parchment, the daughter of Julius and Anna (Kuternoga) Czernecki. Julia was a graduate of KalamazooCentralHigh School and went on to take some accounting at college. She had worked for many companies over the years, most of that for Protection Products, retiring in the early 1980’s. On September 30, 1950 in Kalamazoo, she married John Schiebergen, who preceded her in death in 2003. Surviving are two sons, John and Gloria of Alabama and Jim and Barb of Kalamazoo; three siblings, Mike of California, Mary Hale of California, and Millie (Joseph) Crookston of Parchment; many cousins, nieces and nephews. Preceding her in death were two brothers, Edward and Paul, and one sister, Helen Roberts. Friends may meet with her family at Winkel Funeral Home from 5 to 8 P.M. Thursday where a Scripture Service will be held at 7:30 P.M. Mass of Christian Burial will be celebrated Friday at 11:00 A.M. at St. Margaret’s Church, Otsego, Rev. Fr. Donald Klingler, Celebrant. Interment will follow at Alamo Center Cemetery. Donations may be made to St. Margaret’s Church or to Alamo Nursing Home. 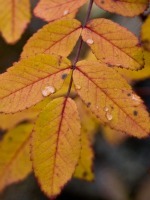 Sandra Livingston of Otsego, Michigan died Thursday, August 7, 2008 in Grand Rapids. Sandra was born July 30, 1957 in Kalamazoo, the daughter of Arthur and Ruth (Miller) Livingston. Sandy graduated from PlainwellHigh School and has worked at Alamo Nursing Home for over 22 years. Surviving are 2 sisters, Linda Burton of Otsego and Sally Waldron of Allegan; 2 nephews and 1 niece, Alan, Ginger and Dennis; 1 great nephew, Heath. Friends may meet with her family at Winkel Funeral Home from 10 AM Monday until the time of the service at 11:00 AM, Rev. Paul Hays officiating. Cremation will follow, with burial of ashes in West Cooper Cemetery. Memorial contributions may be made to the Alamo Nursing Home.